Home » Daily Report » action » Dec. 7 (Fri): A sand carrier appeared on Oura Bay. 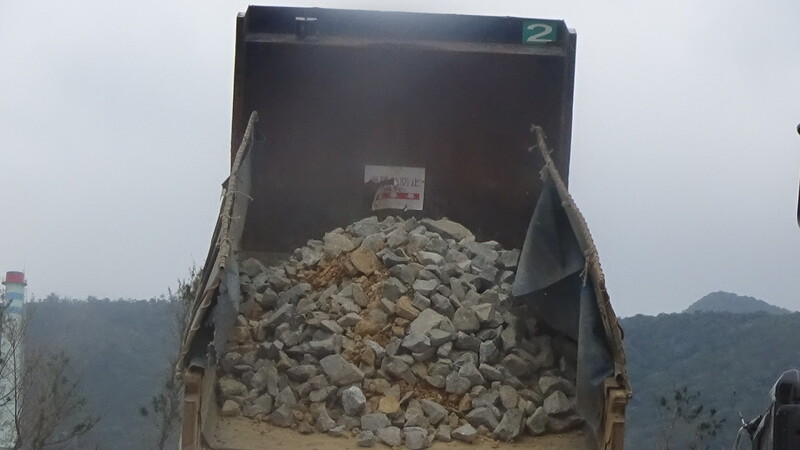 Dump trucks and concrete mixer trucks came today, totaling 307, the most number these days. 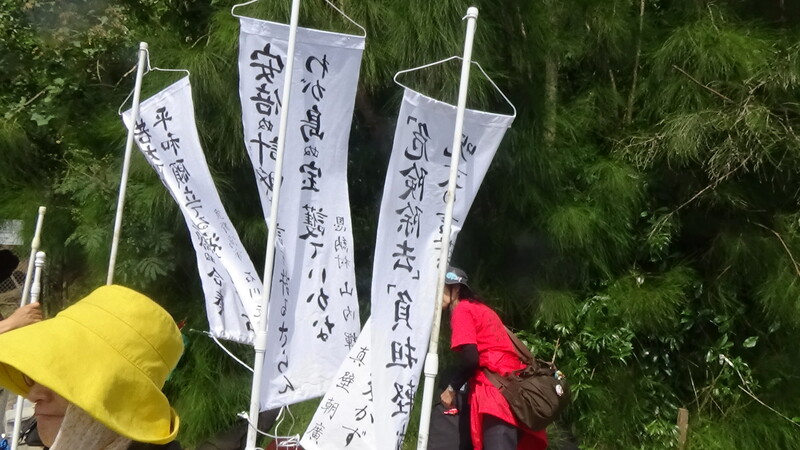 Monitoring was started by the citizens from 5:00 a.m. in front of the gate of Ryukyu Cement. The citizens blocked the workers trying to enter the site, by linking arms with each other. The trucks did not carry in or load sand in the site all day. The work of carrying sand in five carriers has been completed in three days this week. 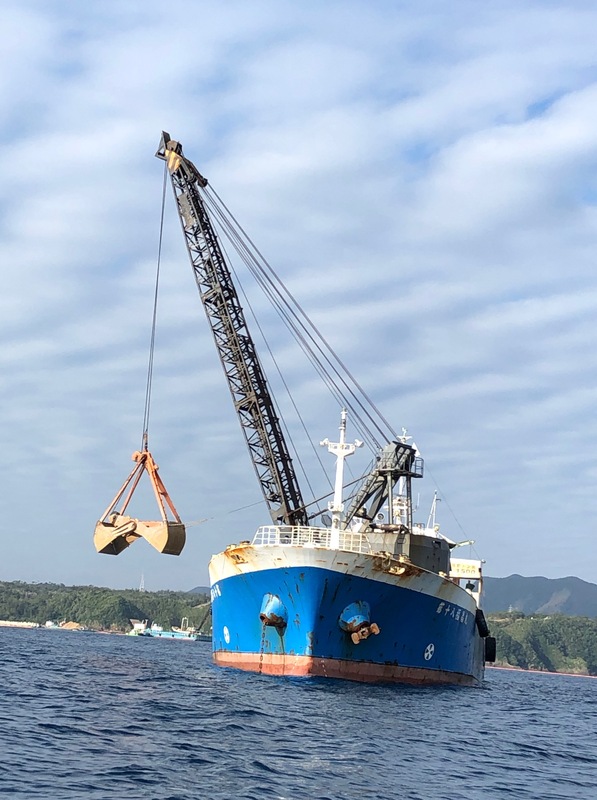 While monitoring the sea, a protesting boat confirmed five carriers loaded with sand entering Oura Bay via the bridge owned by Ryukyu Cement, which ignored the administrative guidance of the Okinawa Prefectural Government. 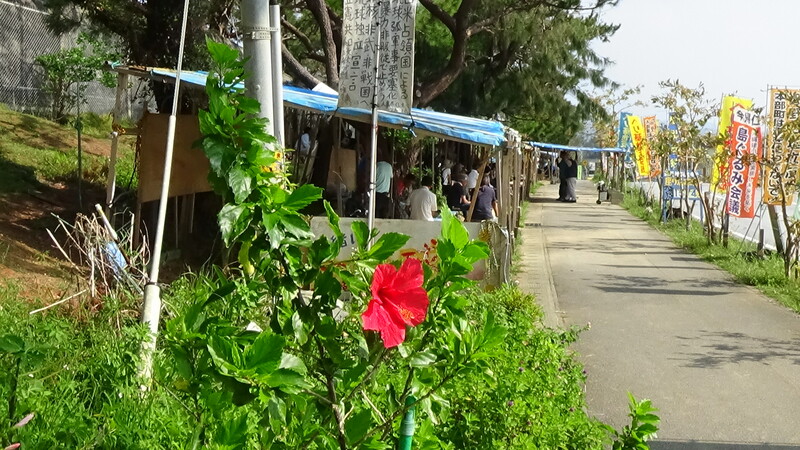 It is certain that the Government of Japan will press the construction even though violating the law. Before dawn on Feb 6, two U.S. military aircrafts crashed during the training of air-to-air refueling, showing one death, one saved and five unknowns. In 2016, a F/A 18 fighter jet, the same-type aircraft as those, crashed in the offshore area in Kochi Prefecture. The U.S. military aircrafts dropped a component and a window frame on the nursery school garden and elementary school playground in Okinawa, respectively, in December last year, showing a higher occurrence rate of accidents caused by the U.S. military aircrafts. The crash of an Osprey on the seashore near the Camp Schwab in December two years ago is a still-raw memory. The Government of Japan did not protest squarely against the U.S. military, while the U.S. military aircrafts were performing the same training on the next day, which is ongoing. Can it be said that Japan is a sovereign state under such a situation?